Razer's upcoming activity tracker--which behaves more like an Android Wear smartwatch than a smartband--is getting WeChat integration as it inches closer to an official U.S. release. The new feature will initially allow WeChat users to get notifications on their wrist. The two companies are also looking at allowing WeChat users to share contact information by shaking hands or doing a high-five, according to Recode. If you've never heard of WeChat, you're probably not alone. It's a Whatsapp-like messaging service popular in China and other parts of Asia, but isn't as big in the U.S.. Razer plans to launch the Nabu in China towards the end of 2014, which is probably where the WeChat integration will see more success. A U.S. launch for the Nabu is planned in the next month or two, Re/Code says, with a launch price under $100. Although the WeChat integration is new to Nabu, the notion of sharing contact information by shaking hands is not. The company showed off that functionality in a promotional video released in January long before the company announced its WeChat partnership. The Nabu has yet to show up on store shelves, but it has already garnered a lot of interest from developers thanks to a successful showing during CES earlier in 2014. In February, Razer said 10,000 developers signed up for the device's during the first 24 hours the development program was open. That's no small feat for a company best known for building devices for gamers. Earlier in July, Razer said the Nabu Beta Program had grown to more than 250,000 developer sign-ups. The now-closed program allows developers to create apps for the device as well as purchase the smartband for $50. Part of the attraction to the Nabu is that it promised Android Wear-like functionality before there was Android Wear. The Nabu doesn't offer card interfaces, a large watch face, or anything like that. But Razer's smartband does provide deep integration with Android and iOS devices. The Nabu promises incoming call notifications, text messages, email alerts, contact card exchanges, social networking updates, as well as regular activity tracker stuff such as a sleep log, alarm clock, and step counter. Razer also wants to connect your wrist to the "Internet of things." Developers could create, say, an app that starts-up your connected coffee maker when the Nabu detects that you're out of bed. 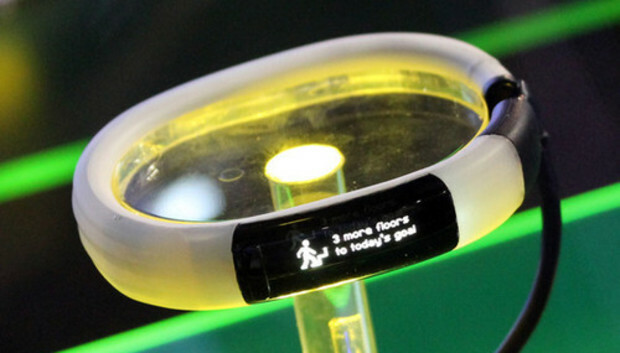 All of that functionality is packed into a wristband with a 128-by-32 OLED display on the bottom of the device. Word on the street, however, is that the band will have another display on the top of the device. The top-facing one would display "public" information while the bottom display would be for "private" data. Razer is making a lot of big promises with the Nabu. But even if it doesn't deliver smooth functionality, the Nabu will likely still work as a solid activity tracker at a potentially cheaper price compared to similar devices. Before it was recalled due to skin allergy complaints, the Fitbit Force set you back $130 with far less functionality than the Nabu. The Razer won't be the cheapest wristband on the market with devices like Xiaomi's recently announced $13 MiBand. But as we mentioned just recently, prices for activity-tracking wearables are heading south--even for feature-packed ones like the Nabu.